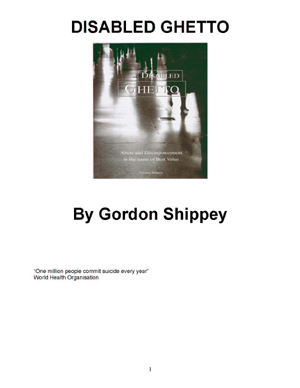 This ground-breaking critique of the mental health services .. This is a book for all those who struggle for real control of their own lives and for those who try to support them against a very powerful tide of oppression. It's so easy for some to turn a blind eye to the suffering of people they do not know. So lift the veil on the UK's faceless people and break 'the monkey rule', I'm sure we all know it - see no evil, hear no evil, speak no evil! This is an intelligent and damning critique of mental health services in the UK, a potent call-to-arms for the survivor movement. 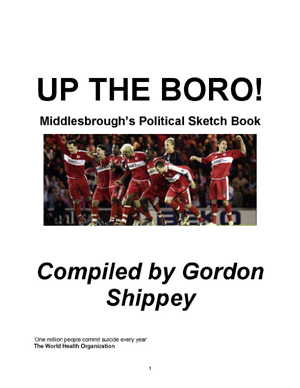 Gordon Shippey was born in May 1973 in Middlesbrough, where he still lives. Gordon is a trained physicist and is skilled in electronics, he worked for some time in the nuclear industry. 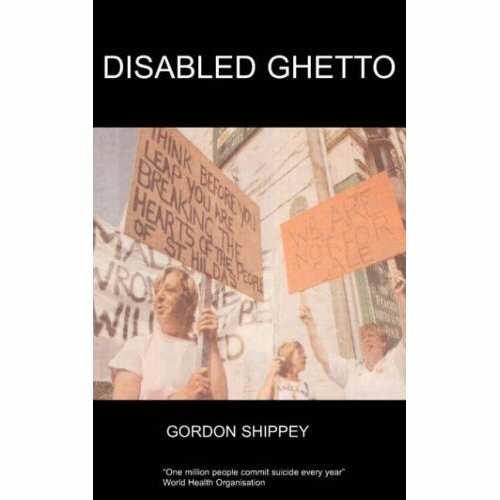 After suffering an accident, Gordon developed acute epilepsy, and was exposed to the gross inequality facing many people with different disabilities. Over the years, he became disillusioned with the ethos within the health system. This lead him to write his account of the awful experiences many people had within the health and disability services. He has become a campaigner for civil rights, particularly for those with disabilities, and even ran as a candidate for the 2003 local elections. In the beginning any disabled person had the lowest value in primitive society in that they were valued less than animals and their chance of survival was minimal. Throughout history any one who was Disabled, mentally or physically, was either killed, died young or ended up as a beggar. Epilepsy, bipolar disorder and paralysis were and are still being used as Propaganda by certain Religious groups to show demonic possession and to inform others that a great Legion of demons are amongst us, in order to promote their cause. Although at that point we were considered much more than just animals in name, the real implications behind the price for Social inclusion were far worse in that of being in league with the anti-Christ and that we must give it up in order to become part of their Social group. At a later time our society started putting Pigs and sheep on trial for also being in League with Satan, if they didn't answer then they where Guilty, a bit like the witch trails, Guilty till proven innocent, of course if you where not guilty chances are you had died anyway. So you can see we haven't moved on very far, we are still on a par with Animals. I don't blame the people of that time because they understood very little, however they set up something which has been enfolded in our society ever since, that some are devalued even in the eyes of God. Even today in the USA certain faiths still preach that the Disabled are not pure in the eyes of God or evil. Mind you not that I am a atheist or a Satanist, it's just that I never understood the organized religious dogma when they say the Devil and worship of him is a terrible thing, yet their slaughter and intolerance of other faiths is acceptable? The real question is have we moved on or is it all window dressing. The government's aim is for social inclusion of the disabled believing that this is the sole problem; however this is not the case because we can have social inclusion but it does not mean we have real value in society. We have had inclusion before! During World War II when community meant everything and social inclusion for everyone was rife, there lived in the east end of London a small boy, who could not walk and had no wheel chair. He use to drag himself across the streets so that he could play with the other boys. All accepted him into their families and would have him over for tea, back then everyone knew each other well, and doors would be left unlocked, people would happily walk into each others houses. Now although this boy was poor and had no wheel chair, he felt rich because he felt as if he had meaning in his life in that he was part of the community and that's all he thought he needed. He soon found out that in fact there was something far deeper he needed and had overlooked. It came with the evacuation of all the Children of London, all except people like him, he was left like so many other Disabled were at that time. You see he had all the Social inclusion and the sense of Community in the world, but it didn't matter, as this was just a Smoke screen for the real truth which was that he was not considered of Value to them or the Government. Now nearly everyone talked about the Jewish Extermination during WW II, however very few talk about Hitler's extermination of the Disabled. Also not many are aware of the experimentation back in the 50's & 60's of Down Syndrome Children in the Good old USA , of which 100's died. Or the 1000's even today, those who are killrd at birth in Western countries, who are meant to have human rights, as well as those with Down Syndrome in the UK who are forced to the back of the line for heart operations. Last but not least the forgotten 1000's who in some Third world countries are put to death or left to die in the streets because they are considered not human. In fact in 2002 one girl was left out to die with a Dog collar around her neck to prevent her from moving; this was seen across the world both in the press(front page of the Mirror) and over the Internet!